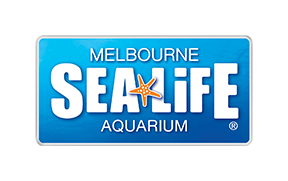 Is SEA LIFE Melbourne wheelchair accessible? Do you have wheelchairs available to hire at SEA LIFE Melbourne? Do you have disabled toilets at SEA LIFE Melbourne? Can I bring an assistance dog into SEA LIFE Melbourne? Is SEA LIFE Melbourne fully accessible? Do you offer a special rate for Carers? Yes, Assistance animals are permitted inside our attraction however please be prepared to show any necessary documents upon request.